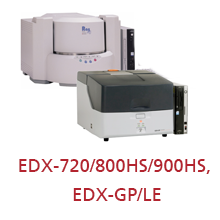 Energy Dispersive X-ray (EDX) fluorescence spectrometry is used to perform qualitative and quantitative analysis of samples by measuring re-emitted characteristic X-rays from elements. 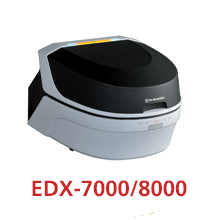 The ideal tool for non-destructive applications, EDX allows measurement of a wide variety of sample types, such as solids, powders, and thin films, in many different applications areas, including electronics, chemicals, and foods. With X-ray Diffraction (XRD), samples are excited with x-rays at changing angles, and the emitted X-rays are detected as a function of angle. XRD measurements provide routine identification and quantification of crystal phases in powder and polycrystalline samples. Percent crystallinity, residual stress, crystallite size, lattice strain and thin film measurements are also possible.